BlackBerry has announced the 9720. The smartphone runs on BB OS7 and shows off a 2.8-inch HVGA touchscreen display along with a QWERTY keypad. 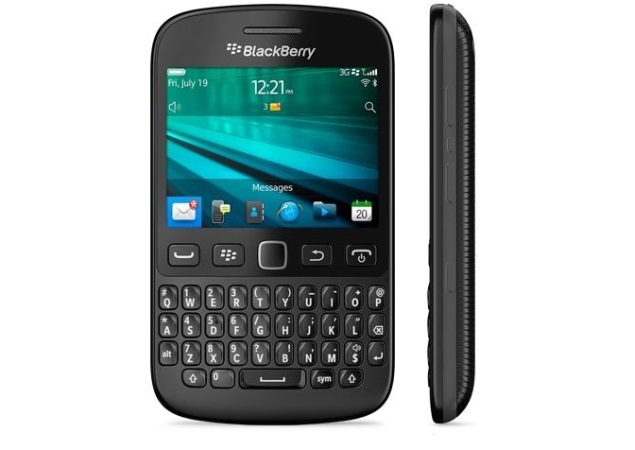 BlackBerry has announced a new addition to its QWERTY touch and type range, the 9720. The smartphone is available in five colours and showcases specifications that have been around for quite some time. The device is aimed at the entry-level market looking to get their hands on a smartphone with a physical keyboard. Considering that the recently launched BB Q5 isn’t cheap, this seems to be a viable option, however, running a severally outdated OS. The BlackBerry 9720 is targeted at emerging markets and is expected to launch in select Asian and Latin American markets. There is no indication about the price of the smartphone. The BlackBerry 9720 runs on the BB OS 7.1 and has a 2.8-inch touchscreen display with an HVGA resolution. The smartphone shows off a QWERTY keypad as well. A 1450mAh battery powers the smartphone. Under the hood, it has an 800MHz CPU with 512MB RAM. These specifications seem really outdated since we have seen the launch of a large number of budget smartphone that boast of a slew of impressive specifications, at a price point that is almost definitely lower than what we expect BlackBerry will price the 9720 at.